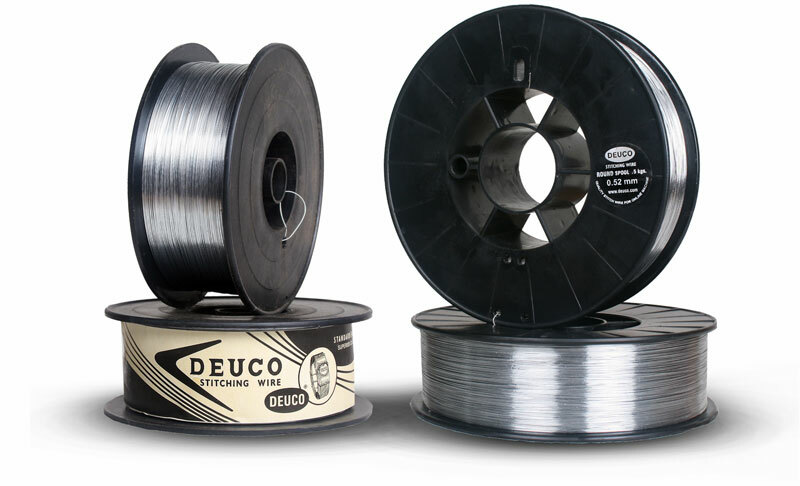 DEUCO POWER PLUS Stitching Wire performs beyond the range of any alternatives you may be using. DEUCO POWER PLUS wire functions flawlessly in both semi automatic & automatic machines for regular and loop stitching applications. Is is available in galvanized / zinc coating. And you can use one wire size for variety of different jobs to simplify your operation. High stitching speed on all types of machines and stitching heads (web printing, saddle stitcher, inline-stitching, cross-web stitching). Protection of stitching head due to strong adhesive zink coating without layer of dirt. High penetrating power due to restricted production tolerances.